This award-winning Reno hotel has the benefit of being located in the center of Reno’s newest shopping entertainment and restaurant district. With Lake Tahoe just a short drive away, your stay at the Peppermill Hotel Reno puts you in close proximity to a myriad of indoor and outdoor activities. The Peppermill Resort Casino is located on Reno’s main thoroughfare, between downtown and the south end of the city, which features upscale shopping and dining. In addition to being located just five minutes from the Reno-Tahoe International Airport, the Casino Hotel Peppermill has a lovely facade on Virginia Street that welcomes guests and affords a glimpse into the elegance, luxury, and excitement waiting in the hotel. When you look out the window of your guest room at the Casino Hotel Peppermill, your eyes will feast on panoramic views of the Reno city lights and the surrounding mountains. Your bed is adorned with non-allergic foam and goose down pillows, as well as triple thread linens. If you are in the mood for a bit of well-deserved self-indulgence, treat yourself to a room in the Montego Bay Wing. These luxurious rooms come complete with the most elegant mahogany furnishings, exquisite marble and granite bathrooms, vibrantly colored fabrics and 42-inch wall-mounted plasma televisions. The Peppermill’s Tuscan expansion offers a combination of luxurious amenities featuring Italian marble and hand-painted finishes, which are accented by earthy tones and rich furnishings. There is a total of 1635 guest rooms, including 600 lavish suites, at the Peppermill, as well as ten award-winning restaurants, seventeen themed bars and lounges, and EDGE, one of Reno’s hottest night spots. Outside of the hotel’s rooms, there are two resort-style pools equipped with high-quality patio furnishings, a waterfall, private cabana rentals, and a bar. There is also a 6,000-square-foot fitness center, and guests who are interested in pampering themselves can make use of the Spa and Salon Toscana, a 30,000-square-foot spa retreat with an indoor pool, sun deck, full-service salon, and 24 treatment rooms. By now, you are probably convinced that a vacation at the Casino Peppermill Reno is an experience to be relished. Come and enjoy! Designed by famed golf architect, Robert Trent Jones, Sr., LakeRidge Golf Course has been voted “Best of Reno” year after year. The golf school operates at Lake Ridge Golf Course just a short drive from the casino. Lake Ridge Golf Course has been voted the #1 golf course in the Reno/Sparks Area for 14 consecutive years! Great golf, excellent food and terrific service- a proven winning combination found at LakeRidge Golf Course since our opening in 1969. The layout offers breathtaking views of Reno and the surrounding mountains. Located just 4-1/2 miles from downtown, it’s also one of Reno’s most accessible courses. Their signature hole, number 15, is a world famous par 3 set high atop a rocky ridge 140 feet above Lake Stanley to an enticing island green for a truly world-class setting. LakeRidge Golf Course is truly Reno’s must-see, must-play golf course! It is an exceptional blend of challenges, aesthetics, strategy and fun. Designed by Robert Trent Jones, this course has been consistently voted the best course in Reno. At just a little over 6,900 yards from the championship tees, the course can be best set up to offer tremendous challenges to a shotmaker`s skill. 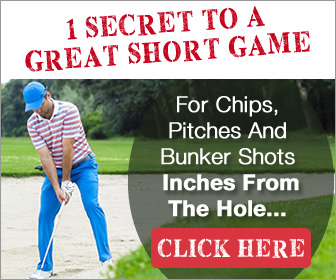 From the regular tees, with a length of 6,340 yards, the challenges and the fun still exist in a more attainable form for the beginning golf school student. For more information go to Lake Ridge Golf Course. All our instructors are PGA golf instructor, all have taught the game for a minimum of 15 years to golfers of all levels. All are committed to passing on their knowledge of the game to golf school students in a relaxed and fun learning environment.